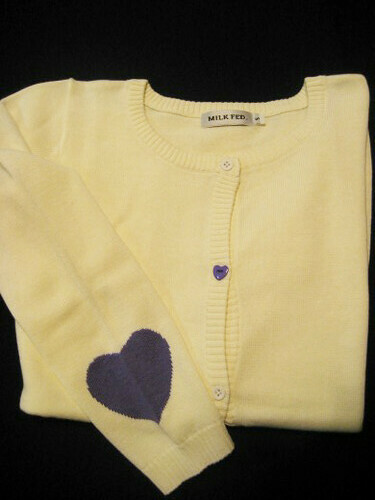 These three-quarter sleeve cardigans from Milk Fed have heart print at each elbows. I love that the only second button is the heart shaped button. I have had this page bookmarked for the past few years because I adore this cardigan! I wanted to let you know I’ve recently used the second photo on my website and gave full credit to you.